Finally, international HR made easy. Focus on growing your business. Not managing the complexity of global HR. Simple, affordable, and automated international HR outsourcing. Pay international contractors affordably via our automated dashboard. Legally hire full-time employees around the world without a foreign business entity. Hire and pay your expat employees in the local currency. Establishing an international branch office or subsidiary is expensive, time consuming, and complicated. International business is often governed by an entirely different set of labor laws than those in the US. Clearfront HR makes it painless and easy to expand your team globally, regardless of its size. You find a qualified candidate, then we help you hire them, handle their HR and payroll needs, and ensure your compliance with local employment regulations, all without the hurdle of setting up a international business entity. Leverage our international PEO and global employer of record services and focus on growing your core business. A modern HR approach for managing your international team. Automated payments to contractors and full-time employees. Affordable path to expand your business internationally with low commitment. Full compliance with local employment and payroll regulations. Cloud-based platform to manage international HR and invoicing. 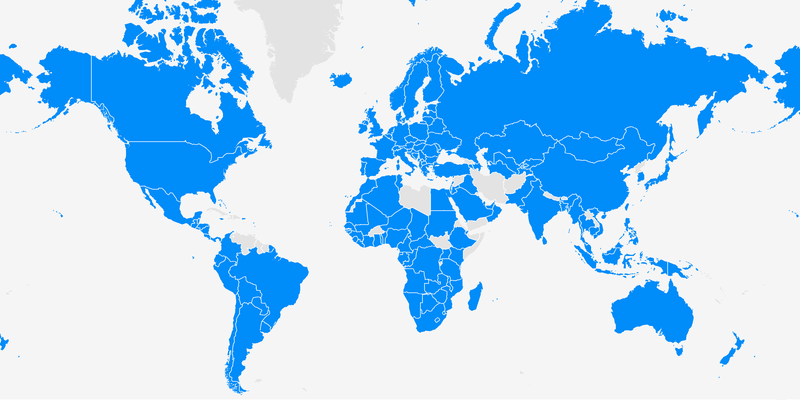 We can help your business expand globally in 150+ countries and counting. Simple and straightforward pricing. Flat monthly fees instead of a percentage of payroll. One-time setup fee and a deposit for each new country or employee. These fees vary by country and worker classification. Base fee for the Clearfront HR solution and related services. Includes all core features and dedicated support for your international expansion. Variable fee for each international country serviced. Includes compliance with all local regulatory employment requirements. Variable fee for each international contractor or full-time employee. Includes monthly payroll, tax, and benefits processing. Learn about international HR outsourcing and follow the latest global employment trends. Want to learn more? Ready to request a demo or get a quote? We'd love to hear from you! We'll quickly connect to learn about your business and international hiring needs. 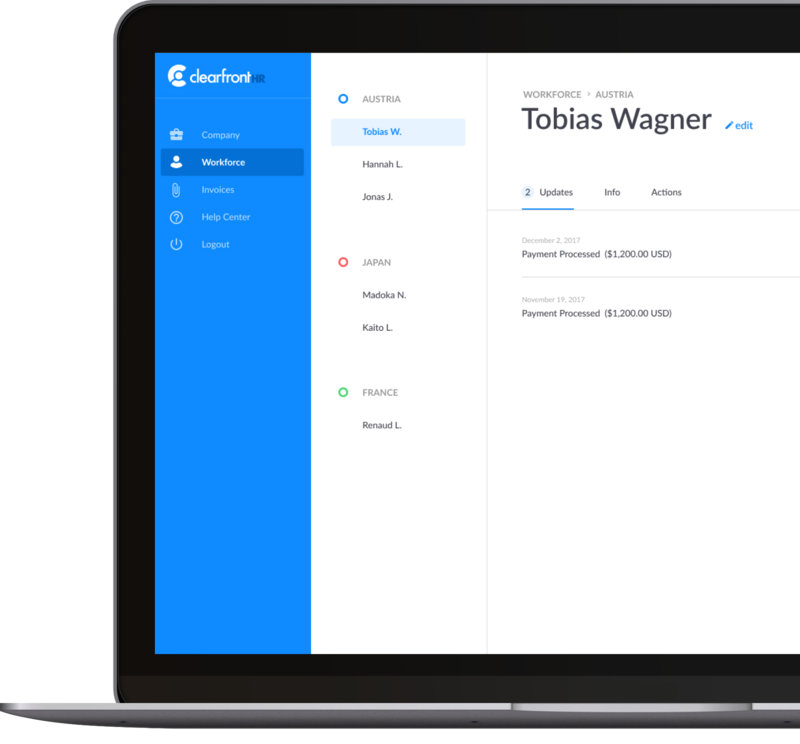 We'll walk you through the Clearfront HR product. Together, we'll build a global expansion plan that works for you. Get started using Clearfront HR!